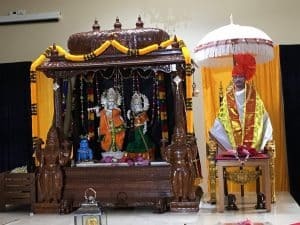 21st March’19 marked the 533rd birth anniversary of Sri Chaitanya Mahaprabhu who is considered as an avatar of Krishna in the bhava of a true devotee. 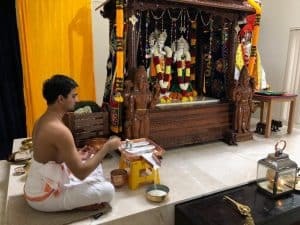 Through personal example, he taught the world Bhagavatha dharma, especially the chanting of the Mahamantra. 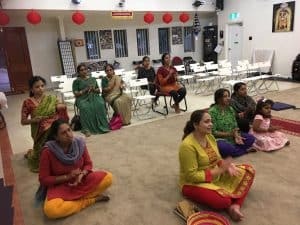 Namadwaar Sydney celebrated this event with a Nama Saptaha programme from the 17th Mar to 23rd Mar’19. 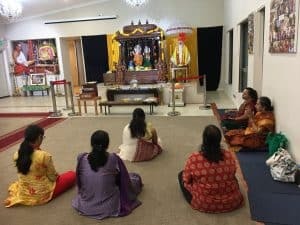 There have been quite a few Akhanda nama events at Namadwaar, chanting the Mahamantra all day (12 hours) but this is the first time a weeklong akhanda chanting was attempted. 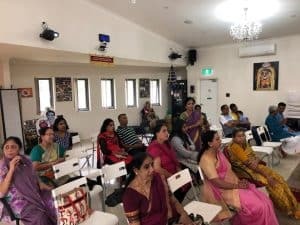 By the grace of Guruji Sri Muralidhara Swamiji, the event was a spectacular success and as mentioned by Sri Muthuji in his valedictory address, Nama Saptaha is set to become a regular feature at the Sydney Namadwaar. 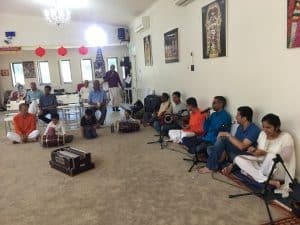 The programme was very enthusiastically supported by the local community with people parading into Namadwaar in and out with a resolve to chant as much as they could amidst their work schedules. 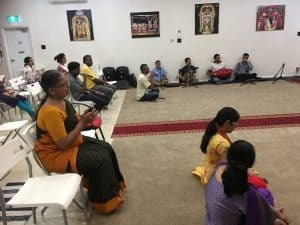 The enthusiasm and commitment of people for the chanting of Mahamantra was a great sight and a nice testimony to the point that if we take one small sincere step towards devotion, God comes galloping to us to shower His blessings. 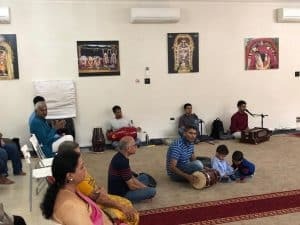 The week long celebration of the divine name concluded aptly on the evening of the 23rd Mar with a parikrama of Sri Swamiji’s holy padhukas to the accompaniment of Nama chant by all the devotees present.